Do American Politics Need Villains to Be Successful? For most of 2016, American politics could best be described as caught in a populist moment. Populism has always come in two variations, and we’ve seen both this year. The most familiar form, ably represented in all its raw madness-of-crowds by Donald Trump, is based on resentment of immigrants and other non-majority identities (racial, ethnic, linguistic, and religious most prominently), and rancor directed at political elites for their perceived role in changing social norms. This is the populism familiar from historian Richard Hofstadter’s “status anxiety” explanation of late 19th Century populism, or, in more recent history, the presidential campaigns of George Wallace. 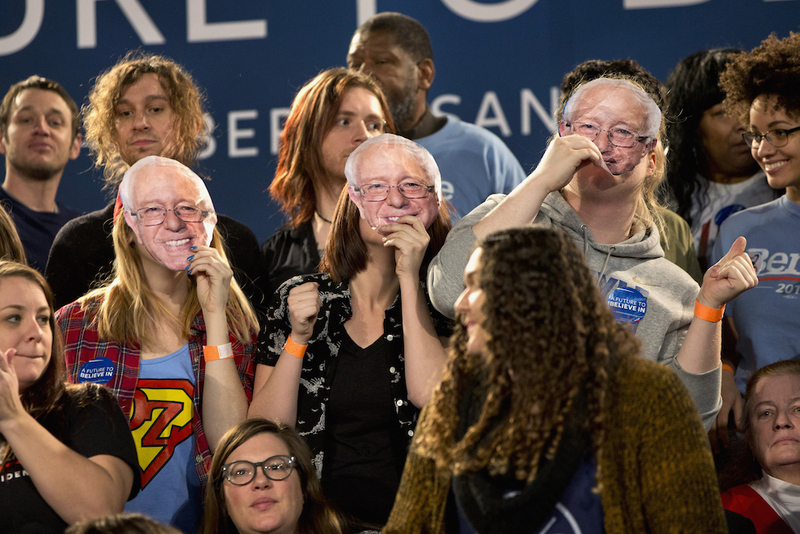 The other version of populism is built around policies that would support working and low-income families, often coupled with a sharp critique of economic elites—“the 99 percent” versus “the 1 percent.” This was the populism that Bernie Sanders rode during a surprisingly successful challenge to the anointed Democratic nominee, Hillary Clinton, and that mobilized younger voters almost as powerfully as Barack Obama had eight years earlier. It would be a mistake to treat these two populisms as flip sides of the same coin. The white cultural resentment generated by Trump—particularly because it represents a distinct minority defined by identity rather than ideology—is a profound challenge to the Republican Party and to mainstream conservatism, just as Wallace’s was to the Democratic Party in another era. The policy differences between populist Democrats like Sanders and Senator Elizabeth Warren and their mainstream counterparts such as Clinton and her running mate Tim Kaine, however, are subtle. Sanders’ proposals, for example, flowed easily enough into the party platform and the vision of its nominee Hillary Clinton. Remaining policy differences between the two camps are relatively minor, such as those between “free college” and “debt-free college,” or between a restoration of the New Deal-era Glass-Steagall banking regulations repealed in 1998 and a proposed new regulatory regime. These are still differences of ideology, but modest ones; and the differences in identity between the Sanders and Clinton camps, other than on matters of age and style, are hard to find. Instead, the left’s version of populism can seem more like a fresh coat of paint, or a sharper argument for otherwise standard liberal policies. Nonetheless, the distinction between left populism and mainstream progressive politics does diverge in one significant way: Sanders and Warren want to name names. Their narrative, like Trump’s, is one of “heroes and villains”—the villains being not immigrants, but the “millionaire and billionaire class” or big political donors. Warren, for example, has been relentlessly focused on personnel, more insistent on limiting the revolving door between Washington and Wall Street and going after the Obama administration acolytes of former Citigroup chairman and Treasury Secretary Robert Rubin (whom she blames for the tame treatment of executives during the financial crisis) than on any other particular policy. In Hillary Clinton’s view of the world, though, there are few villains, and when they are named it is with legalistic care. (Trump himself is a villain, but carefully distinguished from other Republicans, even those who support him.) Politics, in this view, is a matter of problems, to be fixed, often by elites wielding dispassionate expertise. So one of the central questions of our era has become: Does successful American politics need villains? Since the rise of the Tea Party in 2009, left populists have imagined that the politics of resentment that motivates the right can be coopted or converted to the left, redirected toward corporations, Wall Street, and the wealthy. While Trump attacks the “corruption” that leads to, in his view, bad trade deals, an ill-fated embrace of immigration and diversity, and American failure, left populists seem to be betting that an attack on “corruption” that names alternative targets betraying the American ideal—the Citizens United decision, middle-class wage stagnation, or the cost of college—will hook voters in the same way. But there are major flaws in this thinking. The bonds of right populism are not so easily broken and reformed. The “heroes and villains” of Trump’s narrative (he is the only hero) are not forged by policy positions but by deep ties of cultural identity and affinity. Put more bluntly, white Trump and Tea Party supporters are not interested in a populism that involves an alliance with non-white, younger, culturally diverse voters. Meanwhile, the relentless attack on “corruption” from populists on both sides has led to the strange paradox that voters still view Hillary Clinton, merely a lifelong denizen of the existing political system, as more corrupt than the genuinely venal Trump, a master of tax scams, direct-marketing scams, and charity scams. Politics based on resentment and attacks on “corruption” have merely deepened mistrust of government, which is in itself a barrier to the policies that left populists favor. Instead, perhaps what American politics really needs is a third kind of populism. Instead of the “them” populism of left and right, we should look to the tradition of “us” populism—one in which citizens work together, from local to national levels of government, to define and solve problems. A politics in which citizens are not just engaged as angry protestors calling on the system to change, but as part of the system itself. America has had a populism like this before, as described in historian Lawrence Goodwyn’s portraits of the rise of late 19th century agrarian alliances, in Democratic Promise: The Populist Moment in America, and several other books. Where Hofstadter saw only resentment and status anxiety, Goodwyn saw millions of people who had been quiescent suddenly becoming engaged, participating fully through unions, farmers alliances, and new political movements to redesign the economic structures of a fast-growing country. He celebrated the cross-racial alliances forged in the South and the transformations of political consciousness experienced by individuals participating in this democratic renascence. Our democracy would benefit from an investment in this kind of “us” populism, especially its ideas about refining existing institutions to strengthen citizen voices and public trust, and creating new mechanisms for public engagement and deliberation. This might include steps such as setting up participatory budgeting or seeing labor unions, community organizations, and similar associations as civil society institutions—rather than just economic claimants. This new populism can’t simply be conjured into existence. It has to rise up from the lived experience of millions of individuals. But we have tools, including new technologies and new techniques of organizing, that can help. There are signs of a more meaningful and participatory democracy emerging in many American cities. Perhaps by the next presidential election, this budding “us” populism can compete with the populism of resentment that dominated in 2016. Mark Schmitt is the director of the Political Reform Program at New America. This essay is part of a Zócalo Inquiry, Is Populism Destroying Democracy? Primary Editor: Kirsten Berg. Secondary Editor: Andrés Martinez. *Photo by Jacquelyn Martin/AP Photo.